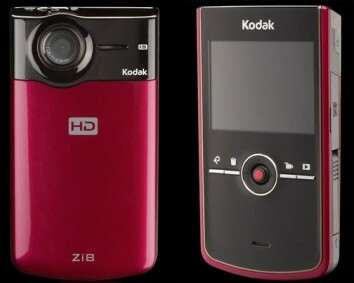 With the announcement of the Kodak Zi8, Kodak has upped the ante in the new and competitive market of small, mobile HD recording. The Zi8 comes with full HD (1080p) recording capabilities and has an SDHC removable card slot. The camera will also record 5MP still pictures. The Zi8 also comes with HDMI cable to connect immediately to your HD TV and has a 2.5″ LCD screen. Official press release after the jump.